When you celebrate a birthday, fun decorations are a must. 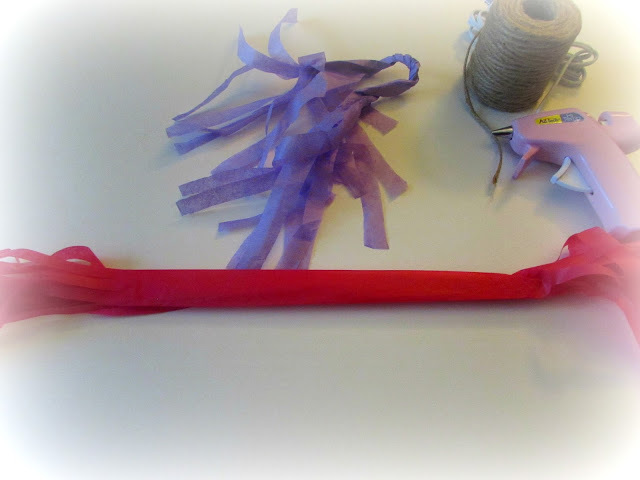 I wanted to create something bright, easy and showcase something you can use for any type of celebration. 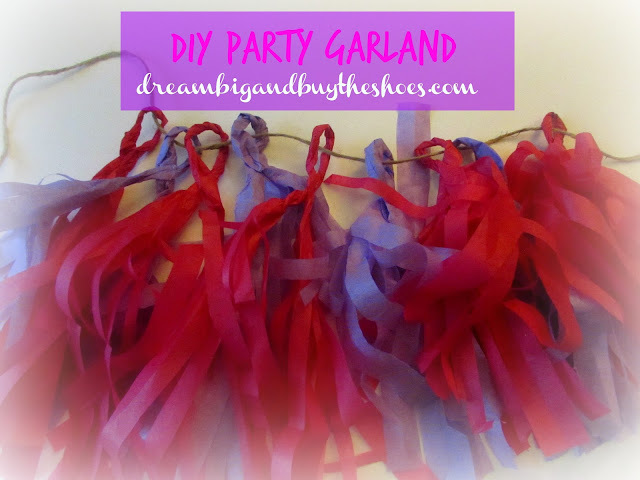 My DIY Party Garland is inexpensive, completely customizable and definitely puts you in the mood to have fun. Now it's time for scissors. 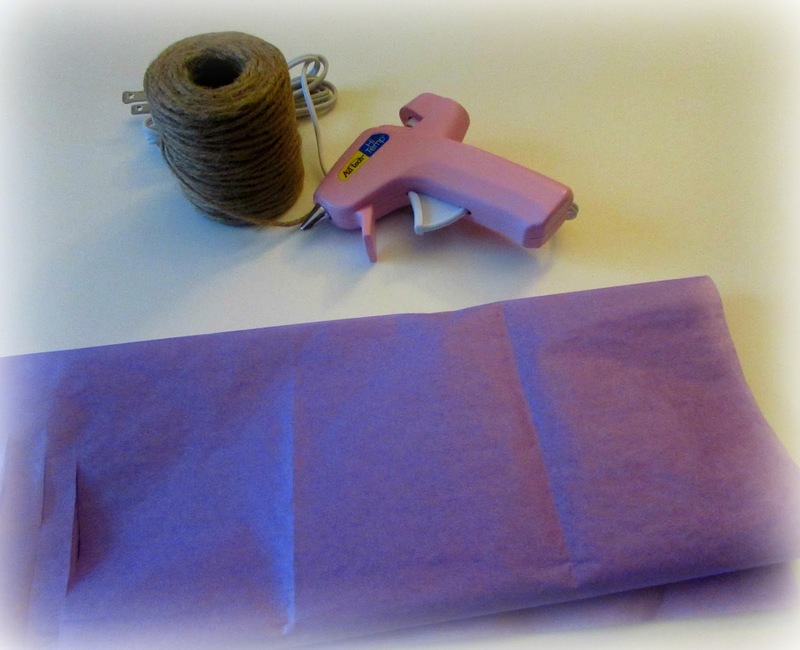 Cut 1/2 inch strips up the tissue paper leaving a little room at the top as shown below. 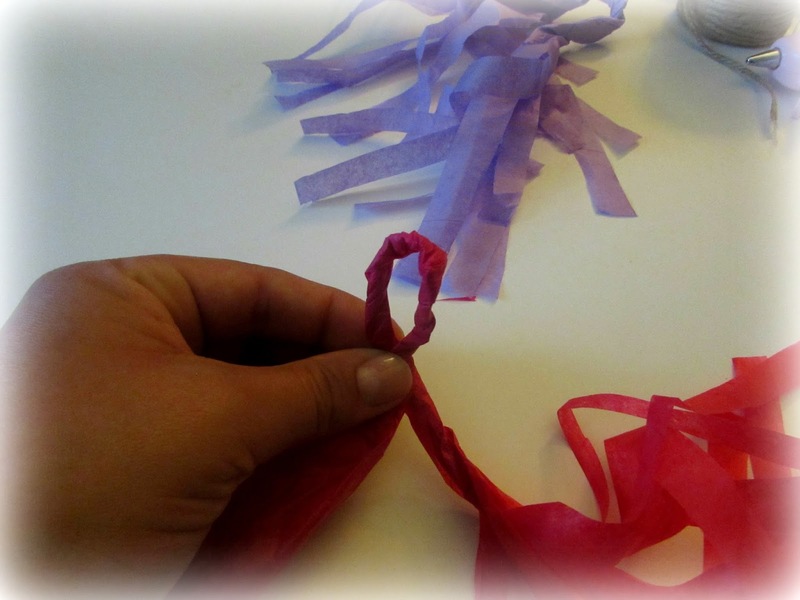 Next, you will unfold the tissue paper so you have 2 sections of garland. 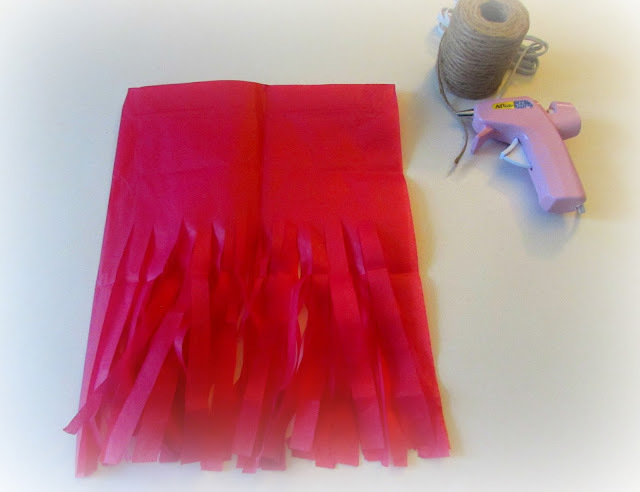 In the crease of the tissue paper, you will cut lengthwise to create even more sections of tassel. 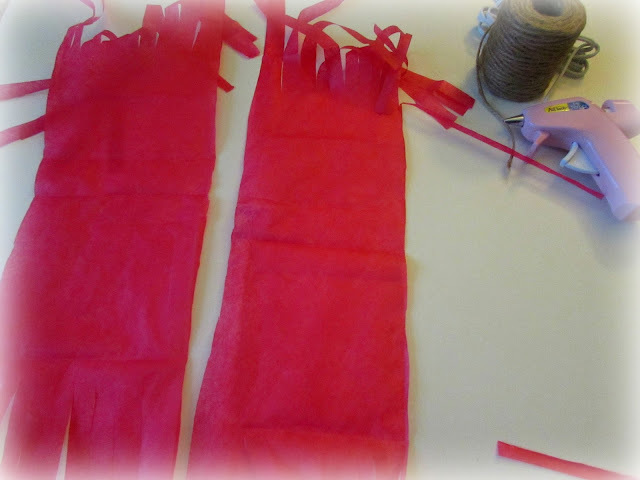 Open up the two sections you have cut so that you have 2 very long sections of tissue paper garland. 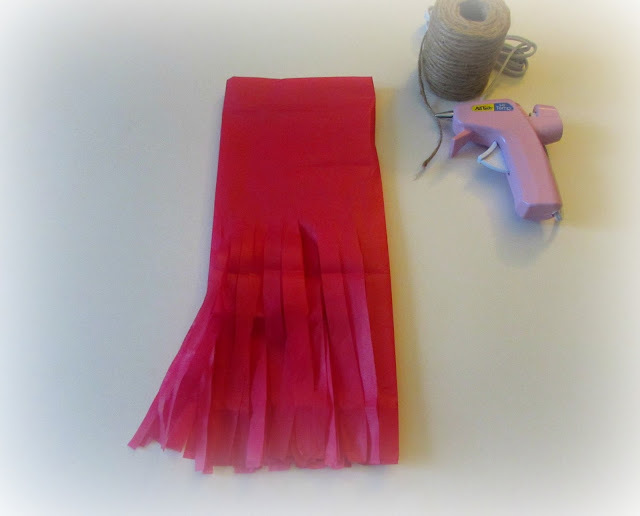 You will now roll the tissue paper lengthwise in the middle to create an individual tassel piece. The middle section that you just rolled will now be twisted tightly because you will then loop it to put on the twine and create the final product. 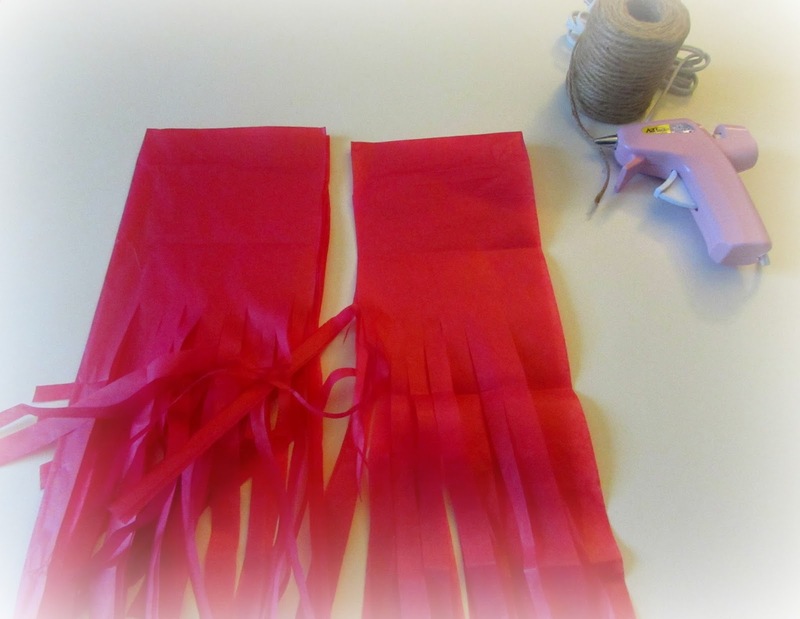 Form a loop as shown below and where the two pieces meet you will hot glue to secure. Slide the tassels on the twine to create your one of a kind garland. 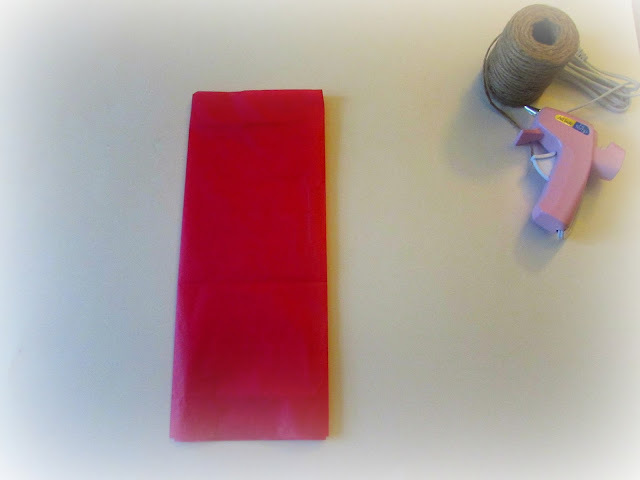 You could even add fun printables to hang from the garland, or lettering too. For even more fun ideas, check out my Pinterest board dedicated to all things PARTY. 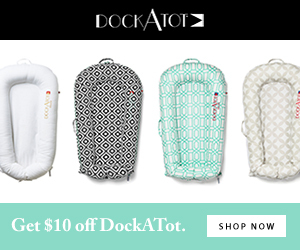 Follow Dream Big & Buy The Shoes's board Time to P A R T Y!! on Pinterest. 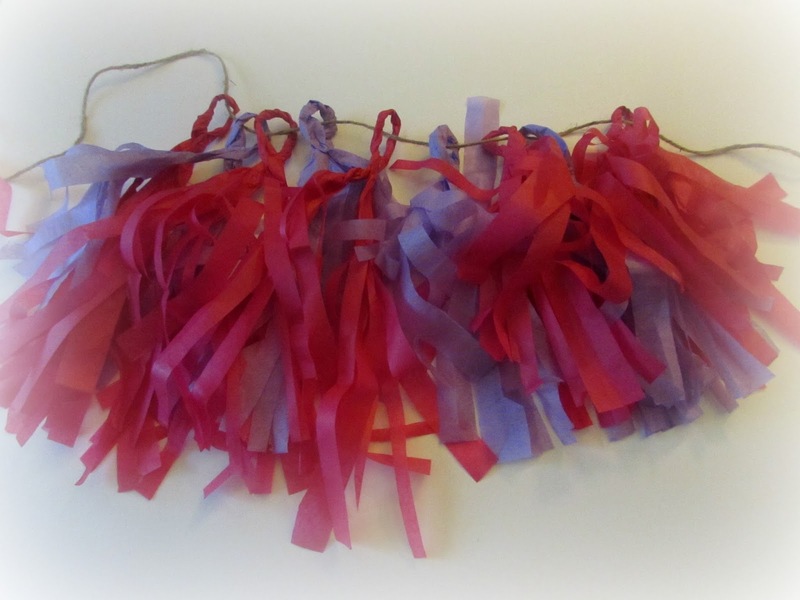 What would you use a party or tassel garland for? that is too cute! simple, too! So cute, love it! 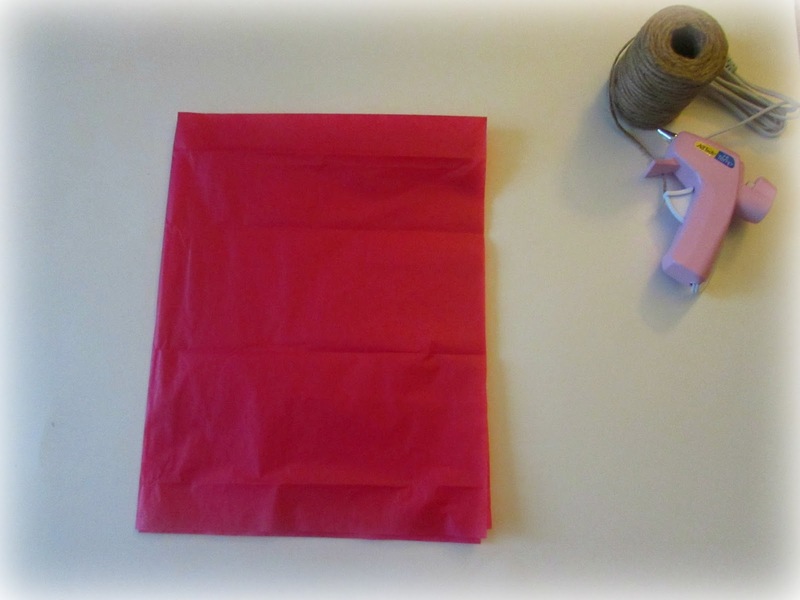 I love tissue paper, you can make so many cute things with it! 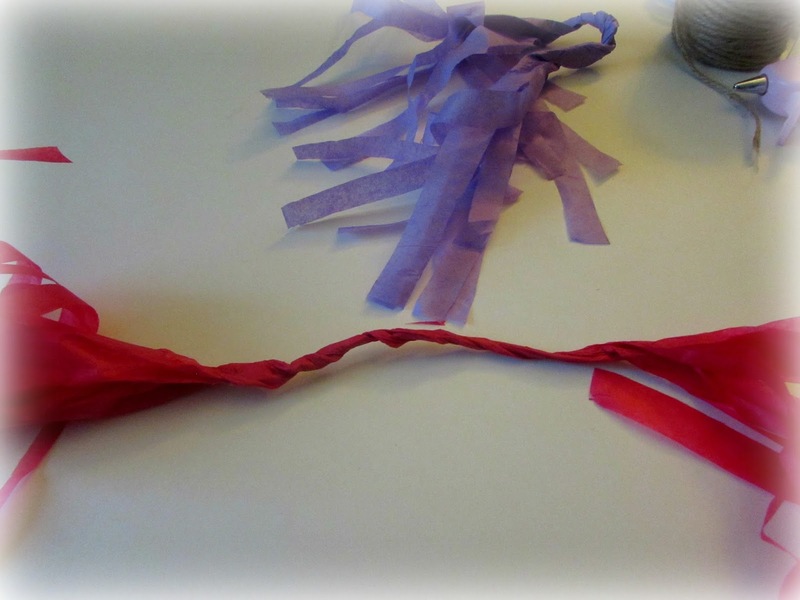 I make these tissue garlands for practically every party...they are just so festive! Yours looks great! Nice job! 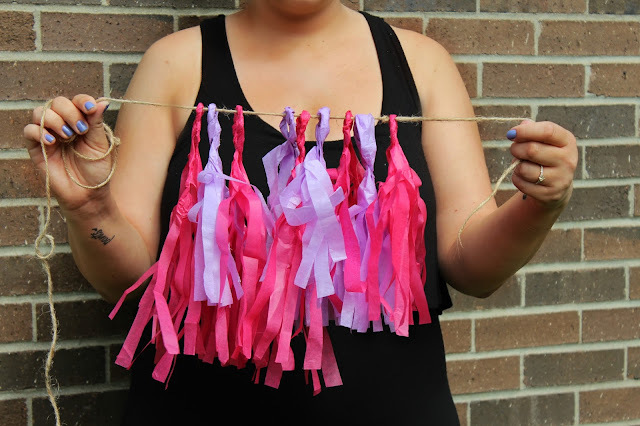 I made some of these for my SIL's baby shower, and it's SO much cheaper than buying from etsy! 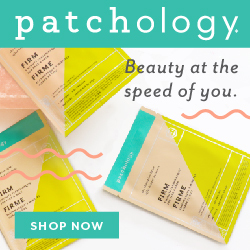 What a great way to celebrate your blogiversary!! These are so fun! Happy one year post friend!! Thank you Caitlin, you are so right...simple and fun! You are TOO kind, thank you Biana, I am having so much fun doing it!